Earlier this week, I showed you how the share prices of frac sand suppliers have crashed since February and have generated a lot of pain for shareholders. Shareholders are feeling the pain but not everyone is unhappy. Especially not hedge fund manager Dan Loeb who had placed a timely bet on the share prices of these companies collapsing. What’s more, Loeb doesn’t seem to think the pain is anywhere close to being over. I tell my wife all of the time. Making money is easy, keeping that money is hard. I’ve worked in and around the equity markets for a long time. I’ve lost count of how many people I’ve seen make and lose fortunes. Therefore I’ve learned to respect the opinion of investors who have proven that they can outperform over the long term. To do that a person must be good at spotting opportunities but even better at avoiding trouble. 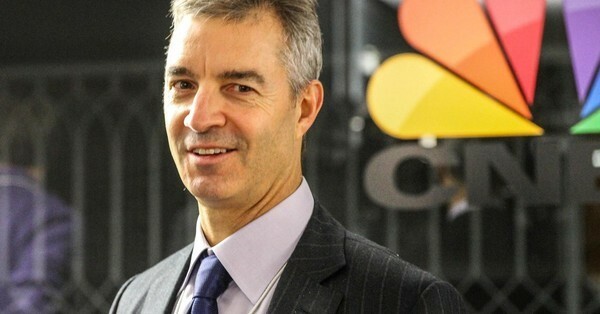 Dan Loeb’s long term track record makes his opinion worthy of considering. Beating the S&P 500 is hard to do; the vast majority of fund managers can’t do it. Loeb has doubled the S&P 500 since his fund launched in 1996. His performance is actually a couple of percentage points higher than that because the 15.8 percent return is after his management and performance fees are deducted. If you own frac sand miners you aren’t going to enjoy what he has to say. That doesn’t mean that you shouldn’t consider it. Is sand the new gold? In early Q1, the combined market capitalization of frac sand miners had reached $11 billion, pricing in an average Enterprise Value per ton of over $300 or over 15x replacement value. An army of consultants, sell-side analysts, and speculators were confidently pointing to the exponential rise in demand for frac sand as rig counts and company budgets turned a corner, drilling activity was on the upswing, and proppant intensity was rising. The frac sand industry’s cheerleaders were certain they could continue to outwit the laws of supply and demand. Our field work identified an important shift from the use of northern white to abundant in basin brown sand. In addition to a large and growing number of greenfield projects that are creating new capacity, we uncovered significant overhang that has been sitting on the sidelines and is now being reactivated. As sand pricing starts to decline in summer or fall at the latest as a consequence of the outsized supply we have seen, we expect many of the publicly-listed frac sand miners to end up with little if any equity value. He doesn’t like much about these companies. He finds valuations absurd, sand usage trends concerning, new supply robust and the end result being a bunch of bankruptcies. His short thesis has certainly worked so far given the share price moves of late. Obviously, time will tell if his vision for business results actually plays out. How Leveraged Are These Companies? Unquestionably there was a lot of growth factored into the valuations of these companies back in February at the peak. There still is with the group trading at pretty high multiples of EBITDA. But Loeb isn’t just saying that the companies are expensive. He is saying that many of them are going to zero. To try and assess that risk, I dug back into the most recent 10Qs for Hi-Crush (HCLP-NYSE), Fairmount Santrol (FMSA-NYSE), Emerge Energy (EMES-NYSE) and U.S. Silica (SLCA-NYSE). There is quite a range of leverage for this group. At one end of the spectrum we have U.S. Silica that is sitting with a $200 million of net cash, so no debt concerns whatsoever. Then we have everyone else…….who range from a lot of leverage to a ridiculous amount. Now bear in mind that this is relative to Q1 2017 and there is a lot of growth expected over the next nine months in EBITDA for all of these companies. I’ve looked at all of the analyst reports and most are calling for EBITDA levels to triple by Q4. If that happens, those leverage ratios look completely different. Loeb’s belief is that the expected EBITDA growth is not going to materialize. If he is correct that would mean that the three companies other than U.S. Silica are going to find themselves with balance sheets that aren’t built for the cash flows they have. Again, that is if Loeb is correct. The consensus analyst view is much more bullish on EBITDA growth over the rest of this year (and into the future). For some additional color I’ve also provided a view of net debt versus Q1 2017 revenue (annualized) for the group. With this view you can see that Emerge and Hi-Crush don’t look as bad as they did relative to EBITDA. For those companies small margin improvements could add significantly to EBITDA. Fairmount Santrol meanwhile has net debt that almost equals Q1’s annualized revenue and is clearly in need of some growth. Loeb’s bearish words were from his Q1 letter to investors. It is entirely possible that he has already closed out his short trade on this sector. If he has, good for him because he made a lot of money in a hurry. If he hasn’t it means he has some serious conviction that frac sand stocks will end in heartache for investors. Next post: Is Kinder Morgan Canada Now a Sucker’s Bet? Previous post: If Frac Sand is So Hot—Why Are Sand Stocks So Cold?